Since its inception back in 1970, Monday Night Football has had its fair share of memorable moments, mostly miraculous comebacks like the Jets-Dolphins game in 2000 and Colts-Bucs in 2003. However, none of the previous 662 games can compare to the unbelievable finish to the Packers-Seahawks game this past Monday night. Photo by: Otto Greule Jr.
By now I'm sure everyone has seen the controversial play that was ruled a touchdown in favor of Seattle as time expired. While the vast majority of people have agreed that Green Bay was cheated out of a win, I'm here to say that they were not necessarily robbed. First and foremost, we can establish that the final play of the game should have been ruled an interception. At first glance one might think that it was a simultaneous catch by Golden Tate and M.D. Jennings, especially once both players came down with hands on the ball. The problem is that the official that ruled it a touchdown had a bad angle on the play. The other official who was signaling for a stoppage of the clock (which I don't understand since there was no time left), actually had the best view of the play. Now, I have no problem with a referee making a call, even if it's not the right one. They have to call something based on what they see. Therefore, I don't blame the official that called it a touchdown. But after gong into the replay booth, the white hat official should have seen Jennings had possession of the ball. Nonetheless, it was a tough call, and since the evidence must be conclusive in order to overturn the ruling on the field, I'm not surprised that the touchdown was upheld. Plus, the game was in Seattle, and Pete Carroll was standing right in front of the head official when he made the final ruling, so I wouldn't doubt it if the white hat was afraid of the backlash he would have faced had he reversed the call. That doesn't mean that I agree with the ruling. 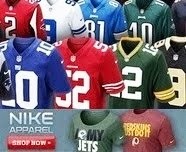 It should have indeed been ruled an interception, thus a Green Bay win, given the situation. But the fact of the matter is, the game should have never gotten to the point where a last second hail mary could have won it for the Seahawks in the first place. There were plenty of terrible calls made all game long that affected the final outcome. It was frustrating, to say the least, to watch these replacement officials throw flag after flag (24 to be exact) and make horrendous calls that significantly changed the course of the contest. On the second-to-last drive of the game for Seattle, Green Bay was flagged for a suspect roughing the passer penalty on a play where Russell Wilson was picked off by Jerron McMillian. It appeared that Erik Walden took Wilson down to the ground almost immediately after he had released the ball, but many times with those type of plays, it's usually to the discretion on the back judge. You can never be too surprised when it's called though, especially when you take into consideration how much the league has been trying to protect the quarterback over the last few years. Another dubious penalty was on 2nd and forever when Sam Shields was called for defensive pass interference on Sidney Rice that gave Seattle an automatic first down in Green Bay territory. The play actually looked more like offensive pass interference rather than defensive. Neither penalty did too much damage since the Seahawks eventually turned the ball over on downs, but field position was certainly altered by it, and who knows how different Green Bay's play calling is when they aren't backed up near their own endzone? Still, up until the final drive, the Packers seemed to be the beneficiaries of a majority of the questionable calls. The most significant call came early in the 4th quarter on a 3rd and 2 when Kam Chancellor was flagged for defensive pass interference on Jermichael Finley. After watching the replay, you can clearly see that Chancellor defended the pass as cleanly as possible. He got to the ball at the most precise time to knock it away. Yet, the penalty gave the Packers an automatic first down, keeping the drive alive. If Green Bay doesn't get that pass interference call to keep the drive going, they would have most likely punted since they weren't in field goal range. And even if they went for it on 4th down, Who knows what would have happened? You either keep the drive alive or give Seattle the ball back with the lead and great field position. Green Bay would eventually score a go ahead touchdown 8 plays later, but not before another very favorable call helped the Packers out. On 3rd and 1 at the 2 yard line, Aaron Rodgers scrambled and was taken down short of the first down marker, or so the officials ruled. After Mike McCarthy challenged the play, the referee apparently saw enough evidence to overturn the call and awarded Green Bay a first down. By the time Rodgers' knee hit the ground, it appeared that the ball was right around the first down marker, but the yellow line shown on TV is unofficial, so the ref should have re-spotted the ball and brought out the chains to measure once again. Needless to say, it didn't happen. So as you can see, there were many instances where the officials altered the course of the game. Each wrong call affected the next play. It was a chain reaction. Sadly, there is no way we can ever know how the game would have played out with capable officials. Nevermind that M.D. Jennings attempted to catch the ball instead of swatting it away like defensive backs are taught to do on a last-second hail mary. The outcome of the game should have never come down to that play. The bottom line is that our worst nightmare has come true -- the replacement officials are affecting the results of games. We've reached a breaking point. We need the regular zebras back. Seattle may have gotten the "W" in the standings and Green Bay went back home with the loss, but there were no real winners Monday night. 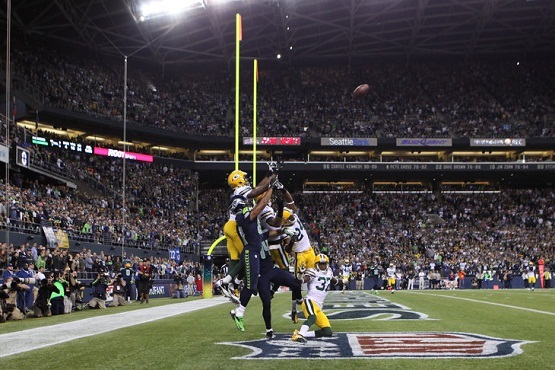 No, the Seahawks didn't catch the game-winning score and the Packers didn't get robbed. The officials ruined the entire game. They got screwed royally, but they are the far better team so they shouldn't have been that close with them to begin with. Let's also not forget the 7 sacks the Packers O-line gave up. Maybe if they would quit playing like replacement linemen, the game wouldn't be left in the hands of the replacement officials! Then those same O-linemen c are the ones complaining the most about the call. Sheesh! Keith is right. Green Bay's offensive line was terrible. If they want to point blame somewhere they should start there. There was no way they were going to overturn the call. As soon as the official on the field signaled touchdown that was it. If they would have overturned it the crowd would have stormed the field and destroyed the joint. It would have been a full scale riot. They've got worse with each passing week. I hate to think what they'll do in week 4.